She may not have gotten an Oscar nomination, but with such a fantastic year (both professionally and fashionably speaking), the lack of a formal accolade isn't hurting her any. 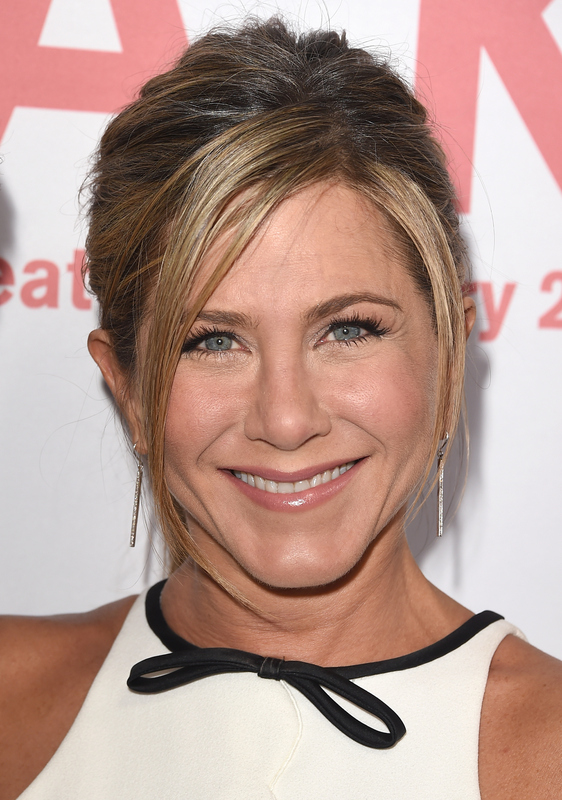 Jennifer Aniston attended the 'Cake' Hollywood premiere in a delicate and feminine dress, and looked completely adorable. Keep on taking these fashion risks, Jen, because they are sure paying off. The 45-year-old actress generally sticks to basics, neutrals, and sleek and classic silhouettes, so her red carpet frills were slightly unexpected, and definitely out of character. Aniston wore a white and blue Giambattista Valli dress, with a floral skirt, scalloped top, and back and side cut outs. She finished the look with black Christian Louboutin pumps, and kept her hair pulled back (as she did for the Golden Globes), but this time in a loose pony with her bangs framing her face. It's rare that we see Jen so soft and demure, she's usually veering somewhere between classic and edgy, but I like that she's changing up her fashion game lately, so as not to become predictable and therefore, boring. And as much as I want to hate this look (it could be said it's slightly too youthful), it's just too adorable, and I honestly cannot get enough of it. And then there's her amazing body, so done and done.